Debossing is the process of pressing a recess image or texts using an un-inked block or die on paper or board. It is the opposite of embossing. 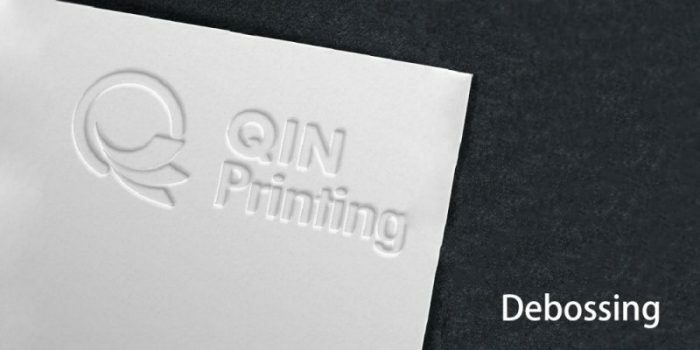 To make the debossing quality better, the paper should be over 250gsm art paper or over 200gsm C1S paper. The thick paper is better for doing debossing. Especially, the paper wrapped on a board, such as hardcover, the debossing quality is the best. Debossing is used on the cover to stand out the LOGO or special images or texts. The debossing can be done with blind debossing. In many cases, the debossing and foil stamping are designed and done together. In common, the debossing texts are more than 12lb.